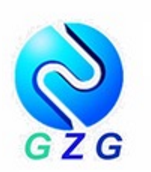 Guizhou GZG Transmisison Co., Limited locates in Duyun Guizhou. We have been engaged in manufacturing and supplying mechanical transmission parts, which are highly demanded in diverse industries across the world, since our company established in 2010. We aim to provide our customers with a complete line of of good quality products available in various materials and sizes at competitive pricing. Meanwhile, we offer the best service to make our clients satisfied no matter the order is small or big. We are also one of the reliable and trustworthy vendors in European, American, African, Asian markets etc. Many OEMs trust the GZG brand to run their equipment due to its superior strength, durability, performance and long functioning life. Our main products are all kinds of standard and non-standard roller chain, conveyor chain, drive chain, double pitch chain, motorcycle chain, engine timing chain, silent chain, S type and C type steel toothed chain, agricultural chain, hollow pin chain, forging easy disassembly chain, hanging belt conveyor chain, special chain, attachments and other power transmission products.